If you build the foundation of your house on a pile of sand, when the water rises it will fall with a great crash. Wendell Phillips reminds us that “eternal vigilance is the price of liberty.” That vigilance demands that we examine the proclamations, actions and behaviors of the people running for office. As free people endowed with the grace of liberty we must hold up the proclamations and representations of people seeking office to the light of truth. Every free person must scrupulously examine the candidates and the evidence they offer so as to confer our vote to those who most closely represent the ideals and aspirations we desire for our community and country. When a candidate comes before us claiming to be one of the common folk and bases a good measure of their candidacy on proclaiming their commonness to appeal to popular sentiment it is fitting if we examine their conduct and actions to see if their claims ring true when held up to the light of truth. Sarah Palin, the self proclaimed hockey mom is not as common as she would like American’s to believe. Ms. Palin is a skilled politician who knows how to trade on her political currency to advance her career. Ms. Palin’s selection as McCain’s running mate was a cynical attempt by a stagnating campaign to enlist a willing media to derail the electorates attention from the substantive issues painfully confronting this country. More has been written and debated about the sexism of people who raised questions about Ms. Palin’s qualifications then elucidating a coherent and complete response to those questions. My belief is that the Republican Party could have surfaced a more competent and capable candidate to assume a role that is one heart beat away from the presidency of the United States. More has been made of Ms. Palin’s opponents elitism and urban chauvinism then a thorough examination of her insistence that real American’s reside on the Main Streets of small town America. My belief is that this is divisive. It does not build national unity and is harmful to a necessary national consensus that democracies require in order to function. Ms. Palin’s demonization of opponents does great harm to our republic. We must also ask, “when is a hockey mom not really a hockey mom?” Do all hockey mom’s spend $150K on clothes? This nation’s hockey moms are rarely seen in fancy leather jackets and very slick dress suits replete with fine complimentary accessories. Today, the majority of hockey moms are hoping they can afford the fees and expensive equipment that participation in hockey leagues requires. Hockey mom’s hope they have the extra dosh to fill up the tank to drive their worry and work weary self and child to make it to the rink for a 6:00AM Saturday morning ice time. Your Neiman Marcus and Saks Fifth Avenue suits might just be enough to get you kicked out of Hockey Moms United USA. It certainly will get you a membership into the uber elite Waldorf Des Rothschild’s Social Club. 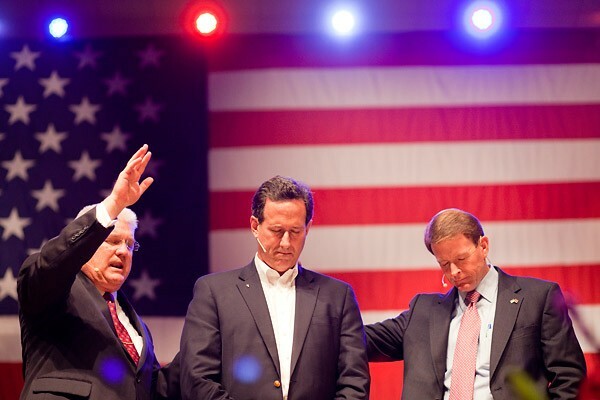 The other recent pillar of the McCain campaign has been the emergence of Joe the Plumber. Joe the Plumber is not a licensed plumber. Joe the Plumber is a laborer who is on the lam from the Arizona DMV for skipping out on a bunch of parking tickets. Joe the Plumber is not in any position to buy his bosses business and it appears that his hope to make a $250K salary remains a very long longshot. But incredibly enough John McCain holds this guy up as a poster child for unfair taxation. McCain’s argument is that sometime in the future if Joe the Plumber buys a business and makes $250K he’ll have to suffer a 3% increase in taxes. McCain’s incredibly incomprehensible and disingenuous campaign is dangerously crowned by the destructive robocalls that shout Obama is a socialist, a supporter terrorists and is eager to fleece the middle class of America and give their money to the people who don’t make money. I don’t know from what planet McCain has just arrived from but if he’s spent any time recently with the middle class of America he would well know that 8 years of unbridled republicanism has already fleeced the treasure of the middle class and is now in possession of the monied interests that the republican party slavishly serve. Most dangerous and cynical of all is a McCain campaign flyer put out by the RNC insinuating Mr. Obama’s terrorist ties. It shows an airplane and a picture of Obama ostensively guiding a crew of terrorists to fly into a building to continue the rein of terror and bring down Babylon America. McCain has been flying this flag for months. I would ask McCain if he and his campaign have evidence concerning Mr. Obama’s support of terrorist activities to bring it to law enforcement officials so American citizens can be protected from the devises of this pernicious subversion. Thats what true patriots are called to do Mr. McCain. Mr. McCain’s fear mongering, character assassination and attempts to question people and groups love of country and patriotism is a sick pandemic that the real enemies of this republic encourage. And like the Hockey Mom Sarah Palin and Joe the Not Yet Plumber, Mr. Obama the terrorist is a well crafted fiction in the senile mind of sedentary campaign bordering on political dementia. I welcome the conclusion to McCain’s ugly campaign. 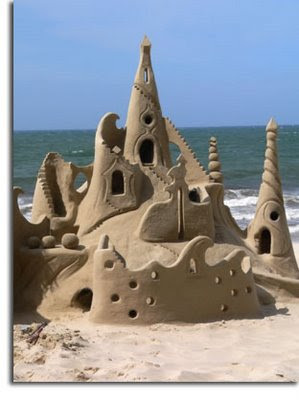 Built on sand, existing as a fictive sand castle in Mr. McCain’s mind it is hoped the election will wash away this nonsense in a tide of an affirmative mandate for real transformation.